The John A. Latsch Board awarded a grant to Ready Set School of Winona County during their November granting cycle. 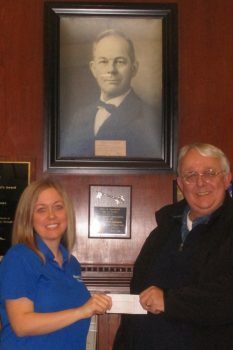 Pictured here are Ready Set School Director Mandi Olson and John A. Latsch Board Member Mark Peterson. The John A. Latsch Board supports several initiatives including secondary education. Ready Set School provides vouchers for school supplies and clothes to Winona County residents grades K-12.